Wolverhampton Grammar School is a centre of excellence for introducing children a love of reading. Our Head Librarian, Zoe Rowley (finalist in the national School Librarian of the Year awards) oversees the dedicated Libraries in the Junior, Senior and Sixth Form, designed to meet the needs of our students during each stage of their development. Our libraries are ideal venues for students to complete work, research or simply relax and read. Open from 7.30am, they are available to students throughout the day and during lesson time and an after School Homework Club ensures all children have access to teachers after School until 5.30pm. Students also have Research Skills lessons and our acclaimed Accelerated Reader programme develops everyone’s reading skills. To encourage a love of reading and writing – national award winning authors, poets and storytellers are regularly invited into School to lead writing workshops and book discussions. Literacy activities and book clubs also regularly take place for both the Junior and Senior School. We want every child across the region to love reading and attend our author visits, which we plan every few weeks. Free of charge, we ensure all our events are age appropriate, fit national curriculum schemes of work and even provide free transport where we can to get children to our School. 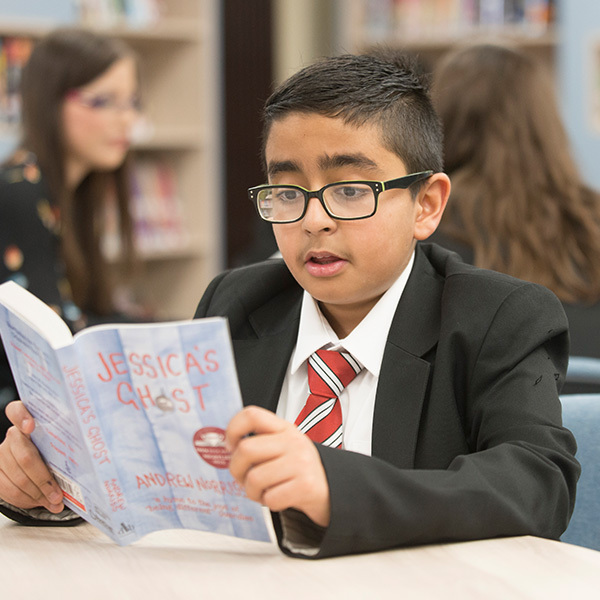 We also open up our resources to local schools and libraries and run a Librarian Network to share literacy best practice with other schools and local authorities. If your school would like to get involved, contact Zoe Rowley email zer@wgs-sch.net for more details. Contact Zoe Rowley by email zer@wgs-sch.net or telephone 01902 421 326.